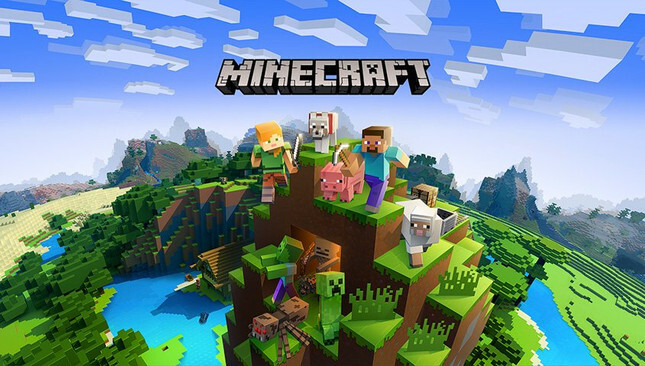 With the latest update for Minecraft on Nintendo Switch, the game has introduced cross-play with PC, mobile, and Xbox. The social media teams at Nintendo and Microsoft are clearly having a field day with this news at the expense of Sony. It all started this morning with a cute tweet from Nintendo asking the Xbox account if they "want to build something together?". Microsoft replied with "Our bodies are ready", a nice little nod to Nintendo of America president Reggie Fils-Aime saying "My body is ready" during a Nintendo E3 presentation a few years back. Right now, cross-play is available for games like Fornite & Rocket League, while Sony is the only platform that refuses to play with others. They're basically that one kid at school who thinks he's just too cool to join with the rest of us. This new series of jabs by Nintendo and Micorsoft is clearly taking advantage the recent frustration already amassing among PS4 gamers at the ridiculous account locking on Sony's platform. At this stage Sony have been irritatingly coy when discussing the lack of console cross-play. Just this week, the ex-head of Sony Online Entertainment said "When I was at Sony, the stated reason internally for this was money. They didn’t like someone buying something on an Xbox and it being used on a Playstation. simple as that. dumb reason, but there it is." Sony's stock took a hammering last week during the Fornite fiasco, which is obviously not making its investors happy. Something has to change but considering I still have to stick with my horrible gamer-tag I created as a teen, I'm not holding my breath for Sony to come out and play. We sometimes include links to Mighty Ape in our articles. If you click on one and make a purchase we may receive a small commission which helps to support us and keep Gameplanet alive.